Find Greenfield, IN New Homes for sale. View Photos, Maps and MLS Data Now! 2 car garage with service door with opener and keyless entry system. MLS#21635203. HMS Real Estate, LLC. Expanded 2 car garage with service door. MLS#21635185. HMS Real Estate, LLC. The Trails - 3-car garage with extra storage space. MLS#21634938. A G Wheeler Realty, LLC. 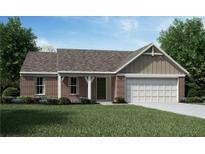 Mc Kenzie Glen - You will also find a bright and airy screened in porch off the rear of the home ready for entertaining. MLS#21629959. HMS Real Estate, LLC. Meadow At Springhurst - Lower level Recreation room with full bath and wet-bar. Expanded 2 bay garage. MLS#21626351. HMS Real Estate, LLC. Saphire Springs offers private deep water lake for recreation & relaxation. MLS#21623988. F.C. Tucker Company. 10x10 patio and 2 car garage. MLS#21623489. HMS Real Estate, LLC. Mc Kenzie Place - Master bath with dual sinks, stand up shower, linen closet and large walk-in closet. 2-car garage with extra storage. MLS#21623223. A G Wheeler Realty, LLC. Keystone - 3 bedroom 2 bath ranch with a flex room Home Features: Extended Porch Craftsman Style Porch Columns 9' Ceilings Tray Ceiling in the master bedroom Staggered kitchen cabinets with an Expresso stain Large kitchen island High-Def kitchen counter tops Cult Marble Bathroom Counter Tops Garden tub/shower combo in master bath Double vanity in master bathroom Black appliances - Range, Dishwasher & Microwave Upgraded flooring through out MLS#21623303. Ridgeline Realty, LLC. 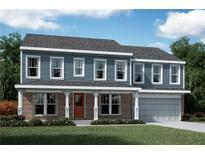 Meadow At Springhurst - Full basement and a 2 car garage. MLS#21619668. HMS Real Estate, LLC. 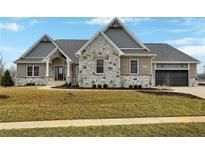 Hurry in to see this magnificent home as it won't last long! ! MLS#21618750. Berkshire Hathaway Home. Community features a pool, playground, and walking trails. MLS#21618205. HMS Real Estate, LLC. Don't let this one get away! MLS#21608468. HMS Real Estate, LLC. Don't let this one get away! MLS#21604027. HMS Real Estate, LLC. Convenient to all Greenfield has to offer; including a quaint downtown, shopping, dining, parks, interstates and so much more! Schedule your showing today! MLS#21604042. HMS Real Estate, LLC. This one is a must see! MLS#21598319. HMS Real Estate, LLC. Sawmill - Don't let this one get away! MLS#21592166. HMS Real Estate, LLC. Enjoy close proximity to downtown Greenfield, shopping, dining, parks, and much more! 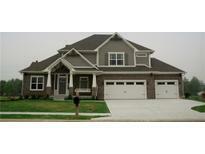 MLS#21592192. HMS Real Estate, LLC. Master bedroom suite has large walk-in closet, double sinks & tile shower. Covered porch & patio! MLS#21581370. RE/MAX Realty Group. Meadow At Springhurst - Full unfinished basement with egress windows and an expanded 2 car garage with opener and keyless entry system. MLS#21509533. HMS Real Estate, LLC.